Sweden was neutral at the outbreak of the war in 1939, but relied on a substantial armored force which would eventually grow to encompass about 400 light tanks. 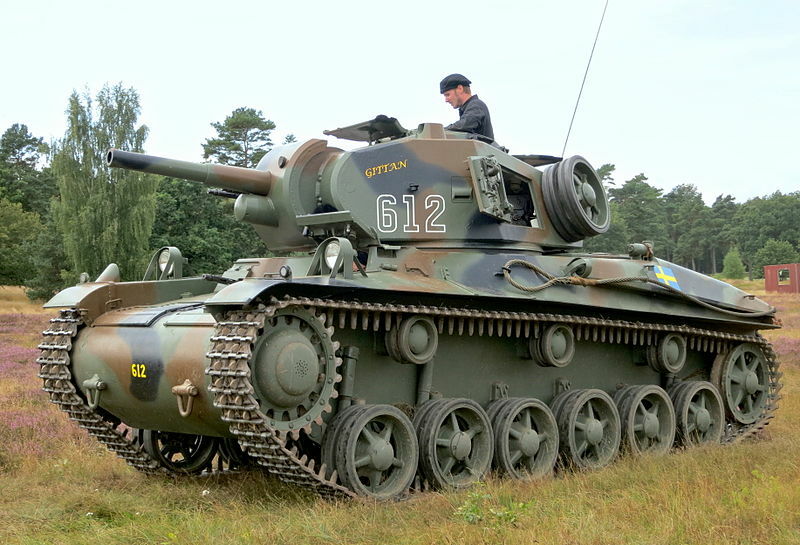 Most of these vehicles were comparable to the Panzer II or the Panzer 38(t), but none could stand up to the Panzer III. 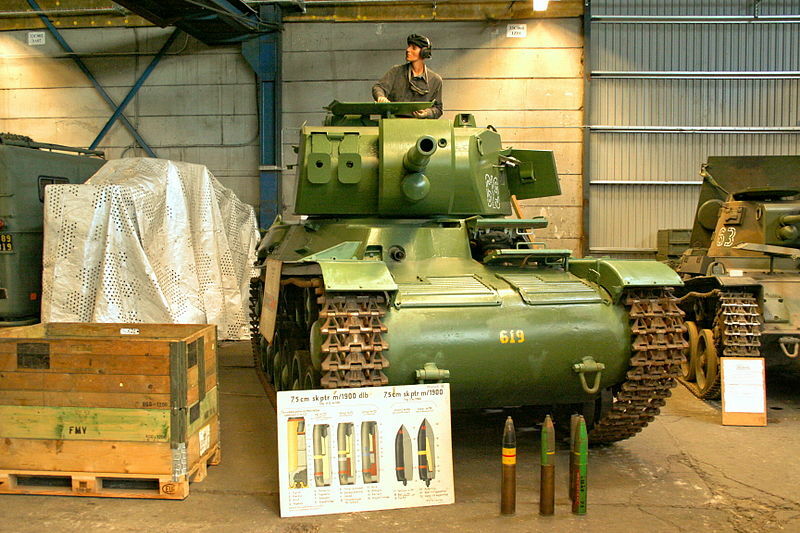 The Landsverk Lago (1936) was the first prototype of a new locally-designed medium tank series, meant to be sold to Hungary. It was practically a beefed-up light tank, weighing 15 tonnes. It still bore a resemblance to the L-60, but was longer and had two extra pairs of roadwheels. In the end, Hungary chose to license a Czech design. In 1936, AB Landsverk designed the Lago (factory designation) answering a request from the Hungarian government. This first 16 tons light tank was armed with a 47 mm (1.85 in) cannon. The turret was still modeled after the L60 series. However, the Hungarians refused it. 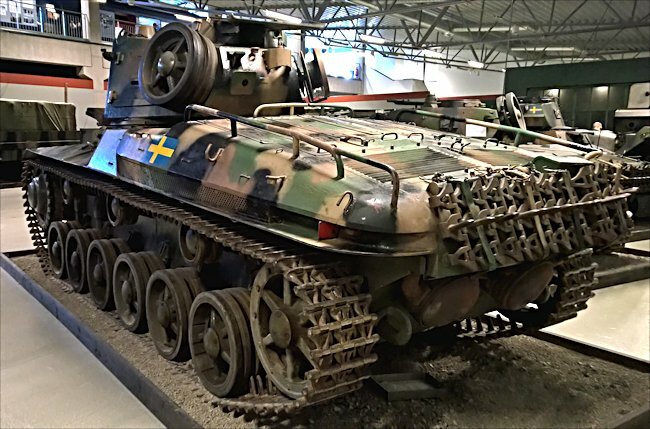 The design was given a second chance when the Swedish army realized it needed a medium tank and decided to start off from the Lago. It received a new turret and 55 mm (2.16 in) thick frontal armor. It was armed with a 75 mm (2.95 in) L/34 gun, which was comparable to the German 7.5 cm StuK 37 L/24 gun fitted to the Panzer IV. The resulting 22-ton tank was designated Stridsvagn m/42 TM. The first production order, asking for 100 vehicles, came in November 1941. However, this first series (delivered starting in April 1943) accumulated mechanical problems due to the use of an electromagnetic gearbox, a very innovative, but unproven solution, coupled with two engines (hence the “TM”, for “Two” and “Magnetic”). In January 1942, another batch of 60 was ordered with a more conventional power-plant solution. 55 were to be produced under license by Volvo with two Scania-Vabis 603 engines and the remaining five with a single Volvo A 8B. Re-equipped with a classic hydraulic gearbox, this series was redesignated TH (twin engine) and EH (single engine). In June 1942, another 80 were ordered from Landsverk AB, also split into 70 TH and 10 EH. It seems however that the development time was longer than expected, as the first deliveries arrived only in April 1943, and stopped in January 1945. At that time, a total of 282 had been integrated into the Swedish Army, 180 built by Landsverk and 102 by Volvo. The bulk (225) had Scania engines, while 70 had Volvo engines. Due to their low weight and relatively small stature, the Strv m/42 was closer to the light category rather than being a true medium tank, which were generally of the 30+ tons class. It was still related to the AB Landsverk light tank designs, with the characteristic tumblehome and downwards side exhausts at the hull’s rear. The hull was made entirely of welded steel, with 9 to 55 mm of armor (0.35–2.17 in), which was substandard in 1943. The driver was located in the front-left, his feet on the transmission, and had a single two-piece hinged hatch opening top and bottom, also used to access/exit the tank. The major difference compared to previous designs was the lengthy drivetrain with six roadwheels, three return rollers, front drive sprocket and rear idlers, plus torsion bar units. The powerpack was usually a twin-engine arrangement (see variant notes) and the initial electromagnetic transmission was soon replaced by a more conventional hydraulic system. With about 320-380 hp, the 22 tons tank was able to reach a top speed of 42 km/h (26 mph) with a power-to-weight ratio of about 14.5 to 16.9 hp/ton. The turret was specifically tailored for the m/42, welded with a single central cupola for the commander. He was also given a single vision block and hinged hatch. The three-man turret was large enough for the gunner and loader. The armament comprised the 75 mm (2.95 in) m/41 gun L/34, which could fire HE and AP rounds. The secondary armament was impressive, counting no less than four 8 mm (0.31 in) m/39 machine guns, one in the nose and three in the right section of the turret’s mantlet. Like on German tanks, there were access/exit side hatches in the turret. The rear part of the turret was given welded handles to strap spare roadwheels. -P 4/Skövde: Newly formed tank companies. 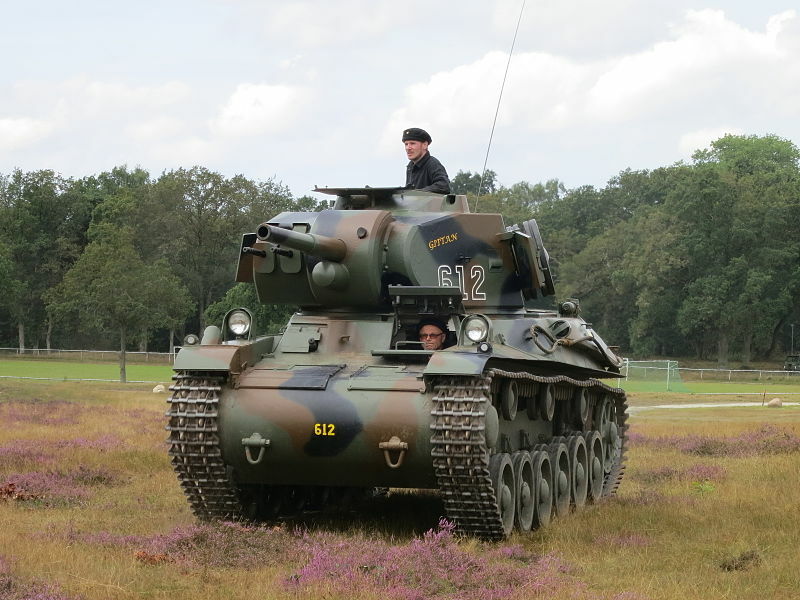 Organically, the Strv m/42s were employed in the heavy tank companies of armored brigades, phased out of active service in the 1950s and replaced by the Stridsvagn 81. Later on, some were converted into Strv m/74s, and the others into Infanterikanonvagn 72s, prolonging their active life well into the 1980s. 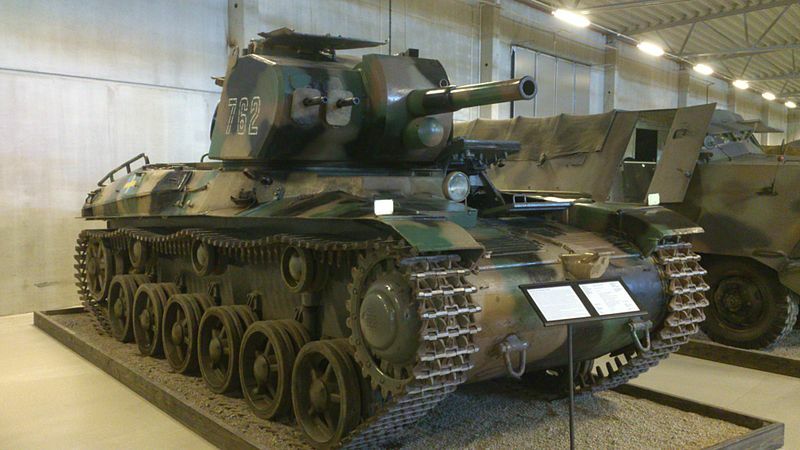 The 225 tanks equipped with Scania engines were “recycled” into Cold War tanks, the Strv 74. In 1955, it was decided, instead of scrapping the m/42s, to re-use their chassis with a brand new turret, in order to supplement the recently purchased Stridsvagn 101s. Still propelled by a Scania-Vabis 239 kW/320.5 hp diesel engine, it could reach 45 km/h (28 mph). 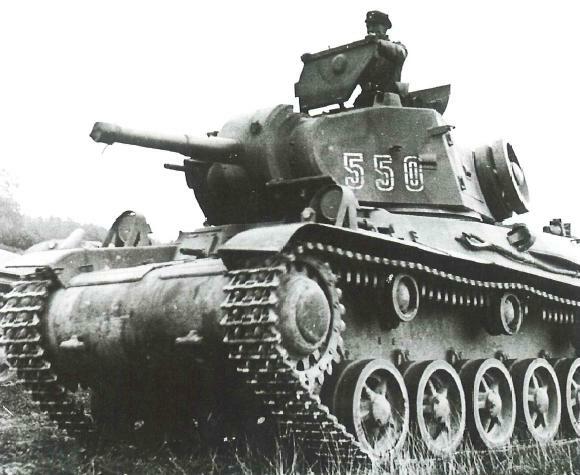 The armor was increased to 15–80 mm (0.59–3.15 in). It was probably only capable of withstanding hits from 75 mm (2..95 in) shells and not the 100 mm (3.94 in) rounds of the Cold War Soviet tanks like the T-54/55. The turret was completely new, designed in order to house a high-velocity 7.5 cm cannon, while the secondary armament was reduced to two machine-guns (one coaxial). The spindle-shape of the turret was remarkable, designed to offer the minimal frontal surface. Later on, the gun was again changed to achieve better high velocity and the fire-control type system was completely modernized. The new version entered service in 1958 and was phased out in 1985. 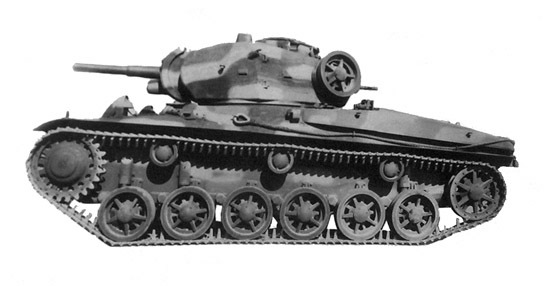 The Landsverk Lago early medium tank prototype. 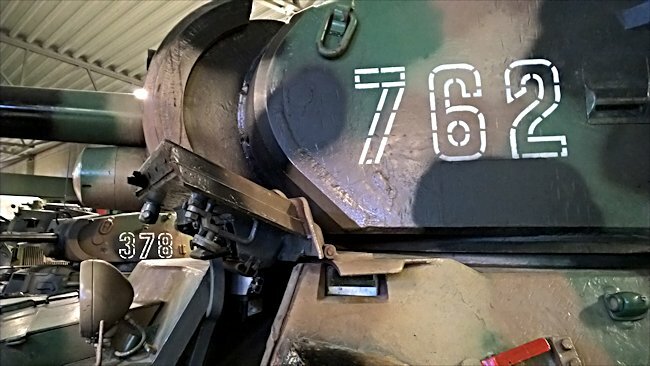 A preserved Strv m/42 in a museum, next to an APC. Hi Alf, thanks for these observations, the first phrase was modified. The Ikv-73 indeed was an SPG, not APC.